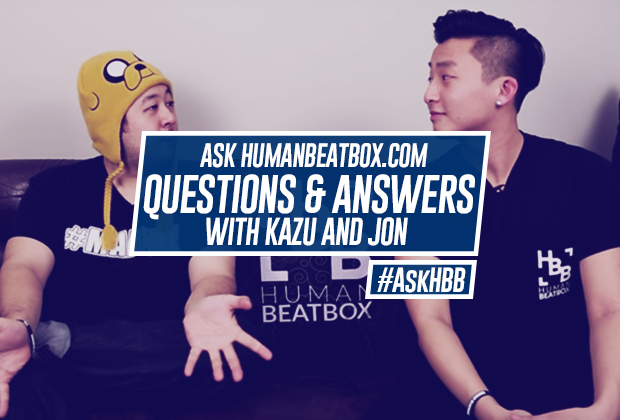 Home›Articles›#AskHBB | We Answer Your Beatbox Questions! 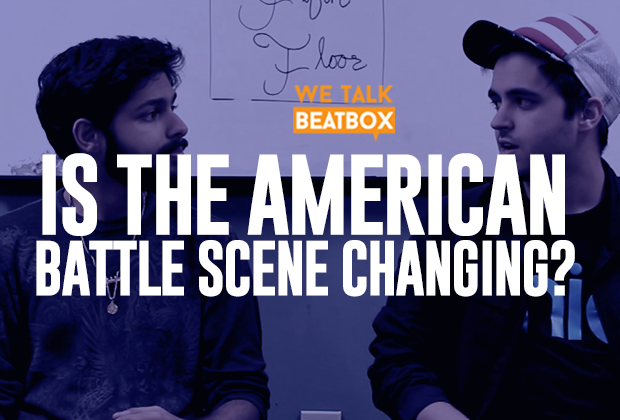 You asked us beatbox questions, so we answered! Hello and welcome to our very first version of #AskHBB, where the beatbox family asks us questions and we try our best to answer them. We want to make this a monthly thing, so please shoot us questions by using the hashtag #AskHBB! Where do you see the community in 5 years? Jon: Beatbox is evolving and growing by the second, so I can only imagine the community being huge in 5 years time. A quick prediction? I think there will be a clear divide between the mainstream scene and the underground scene, just like how hiphop is today. There will be sellout corporate-plastered battles, but also very raw underground scene that will continue to nurture diverse beatbox talent. Kaz: I believe the “Justin Bieber” of beatbox will emerge. He/she will make a million dollars and we will all hate him. His videos will be spammed on all our FB walls. But he will be the one to make beatbox accepted on a way bigger scale internationally. This will lead to sponsors willing to take the risk of paying for events and job opportunities for beatboxers. 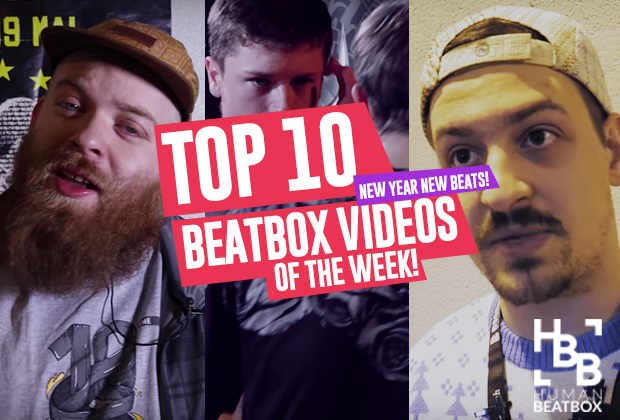 Who are your top 5 under-18 beatboxers? Jon: I really don’t like ranking beatboxers, but if I had to choose a personal favorite, it’d be my fellow countryman, Hiss. His 1-hour freestyle showcased perfectly his precision, swagger, endurance, and versatility. The guy is really something special. Kaz: I really never paid much attention to age. Who’s under 18 right now? I remember Villain and Cosmin when they were in their teens, thinking, “damn these kids are good!” I would say someone like Komodo is pretty dope right now. Again, I don’t know who is what age. What are the biggest struggles you are facing? Jon: I’m always looking to see where our next steps are, which also means I always have a million ideas and ambition to do lots of things, but we have to focus and do the things we have well. So I guess our biggest challenge is seeing how we can best help the community and do a good job executing our ideas with the limited time and resources we have. Kaz: Currently I am losing my day job. I’m on the precipice of seeking HBB as a full time job and wondering what else I can do to make an income. Beatbox will always be in my future. But now I’m seeing how it can be my present. And like Jon said, we are coming up with new ideas daily. How much money is in beatbox? Jon: I can’t give you a straight answer, because I just don’t have enough access to the data. But if we are considering the net worth of famous beatboxers like KRNFX, Tom Thum, Reeps One, Beardyman, Reggie Watts, Rahzel, and so on, it’d be a fairly large number. However, the battle scene is still fairly small. The valuation of the most popular YouTube channels and the revenue made from the largest events will probably be capped at only a few million dollars. Jon: I feel like Kaz might agree with me here, but the best solo routine of all time has to be Jigsaw, sheerly based on creativity, courage, and how friggin good it sounds. It shattered the perception of beatbox routines and opened the door to full musical compositions at battles. My personal favorite loopstation routine has to be Thorsen’s second round against Arthur Henry in the 2016 GBBB, “Music.” The best tag team performance for me is a tie between the Mad Twinz’s and Shadow Sumo’s showcase rounds at the 2016 GBBB. Kaz: I agree anything Gene (Shinozaki) does will be a classic. But I think Move was pivotal, being a fully beatbox-only song to make radio. I think Penkyx’s loops during the 2015 GBB was also big. It was the first time in a battle that effects on loop were really accepted and done very well at that. I think prior, it was considered taboo to use too many effects as it felt almost like cheating. But that drop Penkyx did was killer. Tag team, I still love K-PoM. I think their final at GNB 2016 was sick. They still exhibit so much power and I think they will do well this year at GBB. They have had more time to practice since 2016 GBB. What a lot of people don’t realize is they freestyle a lot on stage. They are just that in tune with each other - key to a good tag team. Will we ever have a full notational system for beatboxing? Kaz: Yes and many steps have been taken already. 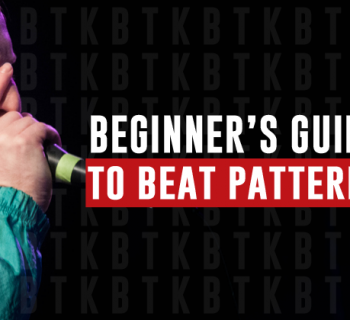 I think many that have tried before have done so with the idea that it is for entry level beatboxers, or a notation system that is very easily learnable. This is surprisingly counterproductive. Beatboxing is complex. Very complex. It’s rhythm, melody, tone, and technique rolled into one. Anything short of phoneticians and music professors leading the project will fall short of leading to a collegiate accepted notation system. Most beatboxers learn by ear, which is a fantastic skill set. But for the longevity and prosperity of beatbox to happen, we need a worldwide accepted notation system. What is some advice for beatboxers with no local community? Jon: Become a beatbox evangelist. Practice your craft and start teaching! Don’t be afraid to reach out to your friends, schoolmates, church members, local schools, or community organizations to see if you can teach a beatbox class and grow a community of your own. It’ll be worth it! What country has the best beatboxers? Kaz: I think what creates better beatboxers is the community and audience. France has the best community in my opinion. This leads to confidence, camaraderie, and foundation. I also think the UK has a strong acceptance to beatbox. The popular music is easier to beatbox to; dubstep, dnb, etc. This means gigs are easier to find, which leads to better performers. Why beatbox? What do you want accomplish? Jon: Like 95% of all the other beatboxers out there, I got into beatboxing because of YouTube. After following the scene for so long after stumbling on several viral videos then Reeps One v Skiller’s video, I went to my first event, the 2014 American Beatbox Championships, because I heard Reeps One would be there. As soon as I heard it live, it changed my perception from ‘casual interest’ into passion. I wanted to take part of the community, whether it was helping BTV or taking photos - I had no idea I’d be here. For me, I just want to continue to serve the beatbox family and level up our standards as an entire community by holding onto our family values and moving forward smarter and more professionally. Kaz: Basically what Jon said. Though for me it was Rahzel’s Make the Music 2000 and Hikakin’s Mario Medley that got me hooked. I always liked photography and my first event I ever photographed was the 2015 World Champs. Capturing music through photos, it’s kind of why I harp on having good stage presence. 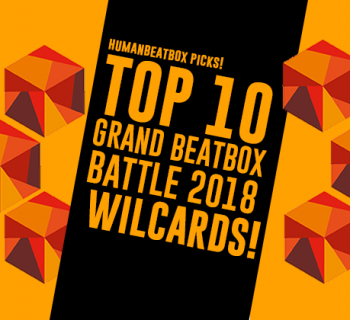 I want to document beatbox the best I can, help create the standard notation system for beatbox and help HBB to be the hub for beatbox news and education. Who is your favorite beatboxer and why? Jon: My favorite beatboxer of all time is K.I.M., who I dedicated one of my first beatbox articles to. His flow and power are exceptional and his knowledge of the craft is beyond measure. Kaz: Fredy Beats. I remember watching the 2013 St Gallen battles, there were so many beatboxers coming out that were this beautiful mix of technicality and musicality. Fredy had this sound that blew my mind (I later dubbed the modulated trumpet, although Fredy calls it the vocal synth). Fredy actually came up with a ton of sounds that he’s not credited for, like the pop lip roll. K.I.M. even confirmed Fredy was the first he seen do that. His routines are great and he’s entertaining to watch. Your favorite beatboxers not many people know about? Jon: Mr. Dimple is up there and Wunknown is starting to deservedly get some recognition. Kaz: Recognize or Quam. You won’t find much on Youtube. They are awesome people as well. Do you prefer musicality or technicality? Jon: One would not exist without the other and are not completely separate. Like I’ve said in the past, this argument only restricts beatboxers to see the art one-dimensionally. Kaz: Stage presence. At the end of the day, what you do on stage is what’s more important. If you aren’t entertaining, what’s the point? I hope you enjoyed reading! Please ask us more questions by using the hashtag #AskHBB or sending us a message! We'd love to help in whatever ways we can. Until next time!